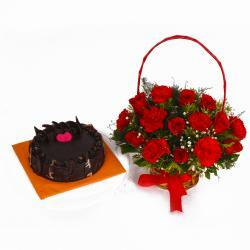 Product Consist : 50 Red Roses Heart Shape arranged with Half kg Chocolate Cake and 16 Pcs Ferrero Rocher Chocolate Box. Take someone breathe away when you present this unique gift on special day like Birthday, Anniversary, Valentines day, christmas, Baisakhi, Dhanteras, Womens Day. When it comes to a bunch as elegant and soothing as this, you will always find happy recipients no matter what the occasion is. This extremely fresh red roses heartly arranged in basket which are bound to be perfect gifts for a variety of occasions. Amazing treat with chocolate cake and rocher chocolates box. 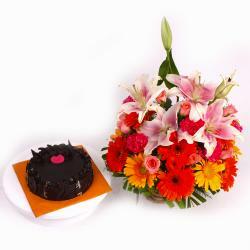 You can gift this fabulous combo to your loved ones and special friends and family. Along with this, send other Gifts to India through Giftacrossindia.com to be delivered in a safe and speedy mode. 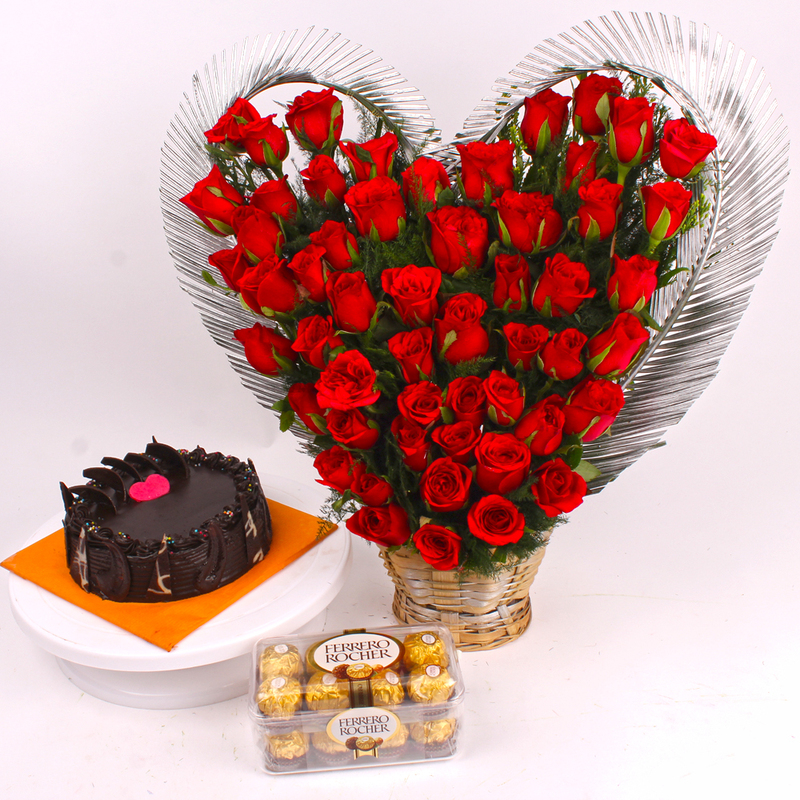 This gift hamper contains : 50 Red Roses Heart Shape arranged along with Half kg Chocolate Cake and 16 Pcs Ferrero Rocher Chocolate Box.